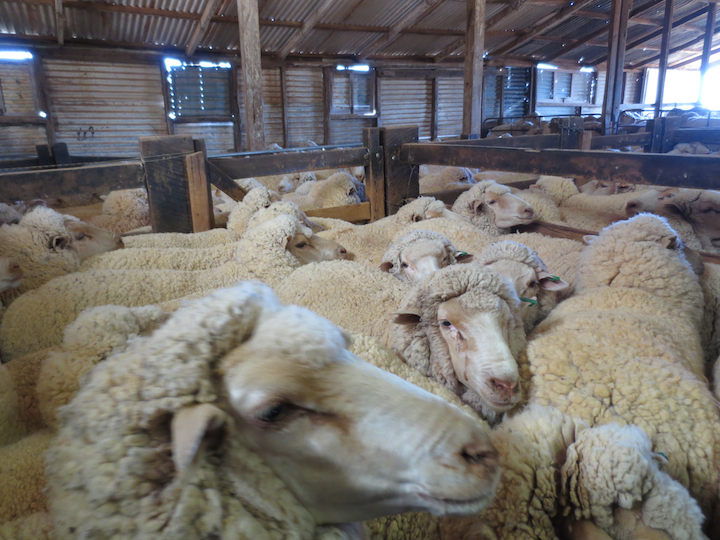 This year, millions of Australian sheep and cattle will endure transport through scorching heat in multi-deck ships, thanks to a live-export market which many Australians, including legislators and other government officials, oppose. After this excruciating journey, many of the animals will have their throats slit in filthy markets while they are still conscious. These abuses would be illegal in Australia. There is simply no humane way to transport tens of thousands of animals through the searing heat on cramped, filthy ships during journeys that last for days or even weeks. A mortality rate of up to 2 per cent of sheep and 1 per cent of cattle during each live-export journey is considered acceptable by the Australian government. Of course, each individual animal has his or her own nightmare journey. PETA investigations in the Middle East have found that sheep who are unloaded from ships are already exhausted, injured and/or suffering from stress-related conditions such as wool break, in which they rub or bite away their wool. They are then beaten, tied and dragged to an inhumane and cruel slaughter. But if we are to change the fate of millions of Australian animals, we need your help. In addition to the horrors facing them in the wool industry, sheep used for wool are often shipped to the Middle East for slaughter when they are no longer wanted. Don’t subsidise the live-export industry. Never buy wool, and encourage family and friends to avoid it as well. Ask your local MP to speak out against the live export of animals, and urge Prime Minister Tony Abbott to take action immediately against this cruel trade. Sign up for PETA Asia-Pacific’s Activist Network so that you can stay informed about any events or protests in your area. Share information about the cruelty of the live-export industry on Twitter, Facebook and other social-networking sites. Write letters to your local newspaper to educate readers about the live-export industry or call in to local radio stations. Check out this letter-writing guide to get started. PETA offers live-export leaflets. Post them on community message boards, include one with every bill payment or hold your own leafleting event or protest. E-mail us to get a stash of leaflets or for more information.